While living in Madrid and teaching English as a second language I had the opportunity to teach sailing on a small lake close to the city. 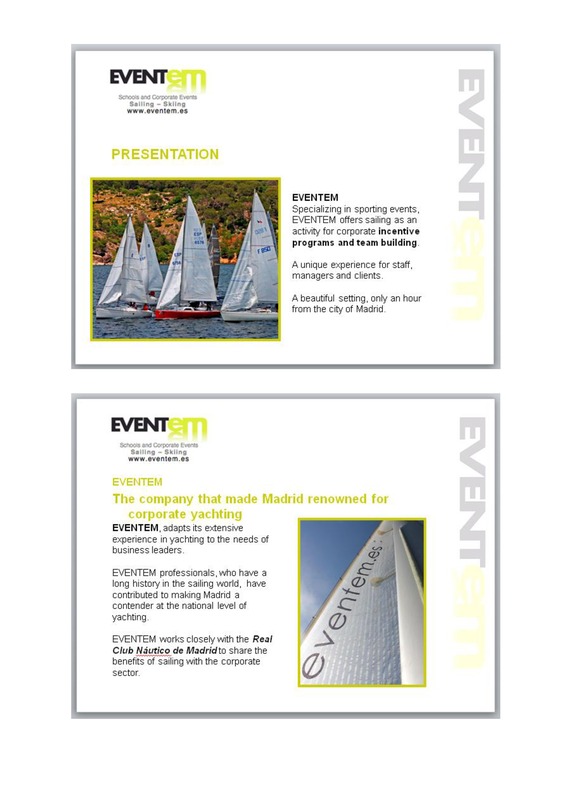 I worked for the yacht club itself as well as for a corporate event planning company called Eventem, accompanying groups of co-workers out sailing. I soon became more involved in the work that Eventem did, organising and attending corporate events, as well as aiding with the creation and translation of promotional material. The following is an excerpt of a promotional PowerPoint I translated for the company.